Join the S R Silcox Reader Club right here! You'll get regular updates on the Girls of Summer and other books, as well as subscriber-only contests and content including information on book releases. Sound good? As a thank you, I'm also going to send you a free short story from the Girls of Summer series called Summer Crush. It's about Jess, a high school senior who's never been kissed and has a huge crush on her classmate Ellie. 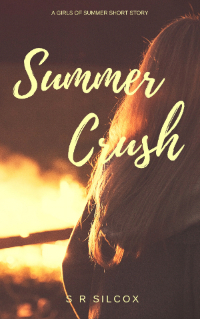 Take one end-of-school bonfire, a warm summer night and the encouragement of her best friend and Jess might just surprise herself by the end of the night. (PS I don't send spam and don't give your details to anyone. You can opt out any time).